Many artists, scientists, inventors and public speakers say that often the information they convey through their work feels like it doesn’t even come from inside themselves, but from some greater source. The Field, which I’ve talked about a lot on this site and was my first or second post you can find by CLICKING here, also talks about how we all tap into the global consciousness to pull out useful bits as needed. You could say any great master or artist that has provided humanity with fresh, perhaps revolutionary information is pulling, or “channeling” that information from a higher source. Perhaps like when we get those moments of intuition or inspiration that go beyond the boundries of the mundane to the miraculous. These moments may occur as we do the dishes or as we put our kids to sleep, but inevitably, they always occur. It’s all about suspending skepticism to remain open to what seems true to you, no matter the source, if it resonates, it resonates, if it’s helpful, it’s helpful. If it’s not, then move on to something else that works. If it improves your quality of life somehow, good on you. 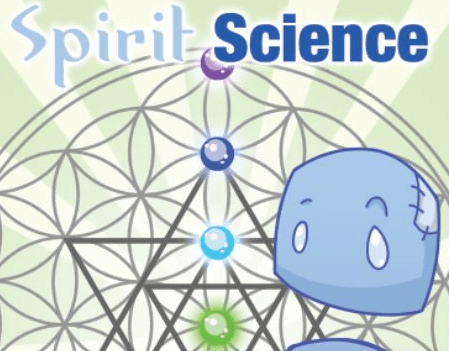 Spirit Science also mentions Kryon in the below clip, as channeled by Lee Carroll. Lee’s work as a speaker, author and channel is interesting. For his entire working career he worked as a studio audio engineer in the film industry, working quietly in his cubicle, never being a public speaker, and actually dreadfully shy. Only upon retiring he through a variety of synchronicities got into the idea of channeling and Kryon became known throughout the world. What I like about Lee is he doesn’t advertise, he doesn’t charge for his material, which can all be found FOR FREE as audio podcasts on his website, and yet he speaks to tens of thousands of people in crowds all over the world, via mostly word of mouth, about hope and a positive future for humanity that is about coming together, having faith in God and spirit and the human ability to transcend ugliness and pettiness in order to embrace our own true inner power. He’s been ahead of the curve for years on subjects as diverse as middle east policy, quantum mechanics, the internet, and global climate change. He’s been invited seven times to address, of all places, The United Nations! There’s a link to Lee’s Kryon site below where you can find all his clips. Waking Universe would also like to note that one of the specific channelers featured in this below clip, Bashar, or in our more mundane reality Darryl Anka, the channeler, will soon be a featured guest on one of the first episodes of our new Waking Universe television series which is just finishing post production. A quite interesting and very gracious guy, who for decades has been making the esoteric into common sense and making real sense of our daily lives in ways that are profound and yet humble and personally empowering at the same time and we were happy to have him in the studio and can’t wait to share him with our audience soon. When I first heard of guys like Lee Carroll and Darryl Anka not too long ago, I confess I was extremely skeptical. I had sort of a “c’mon, really?” attitude. After hearing them speak a few times, however, I realized that whether the thought provoking ideas they discuss come from some internal part of themselves or some greater source, it doesn’t matter, at least not to me. If a thought rings true to me, and helps me see my world in a more positive, connected manner, well… it goes beyond reason to a heart place. Discern for yourself, but after you watch the 13 minute video below try clicking on some of the links at the bottom if you’re open to expanding your universe in ways often unexpected but always beautiful. When I get compliments on my work , i feel that it does not belong entirely to me,, I am only an instrument who shares art with others, that I receive from a higher source.